Christmas has become a fun filled holiday for people all over the world - regardless of whether they are Christian or not. As a result many people are very familiar with the idea of Santa Claus, gift giving, Rudolph the Red Nose Reindeer, Jingle Bells and Christmas dinner of turkey and all the trimmings. However, some people are not familiar with the reason practicing Christians celebrate this special day. The following video tells the story of Christmas that comes from the Bible. It does not matter if you believe the story or not, but IS is important to know the story itself if you want to understand Christian beliefs and culture. Try to listen to the story several times WITHOUT reading the subtitles. Next, go back and listen to the story while you read the subtitles. Answer the questions again. Check the answers. Read along WITH the speaker - at the same time, NOT after him. When you speak at the same time as the speaker, this is called shadow speaking. I'm including some traditional Christmas carols that focus on the real meaning of Christmas. People have sung these carols for hundreds of years, so it is useful for you to know some of them. Silent Night ( German Stille Nach, heilige Nacht) is the best known Christmas carol in the world. It has been translated into more than 140 languages and sung by every singer who has ever released a Christmas album. Composed in 1818 in Austria, it was declared an intagible cultural heritage by UNESCO in March 20111. In 1914,during World War 1, soldiers on both sides called a Christmas truce for one night when one side heard the other singing silent night. 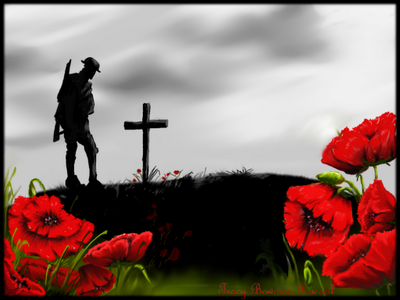 All soldiers on both sides began singing the song in their own language as it was one song they all knew. That night, the enemy troops spent the evenig celebrating Christmas together singing, getting to know each other and talking about their loved ones. The next day, they went back to shooting and killing each other. In 1966 Well known singers Simon and Garfunkel recorded two contrasting recordings: a simple arrangement of the Christmas carol "Silent Night", and a simulated "7 O'Clock News" bulletin of the actual events of 3 August 1966. This song focuses on how frightened Mary was and her hopes that she could live up to the responsibilities she was going to have as the mother of God. 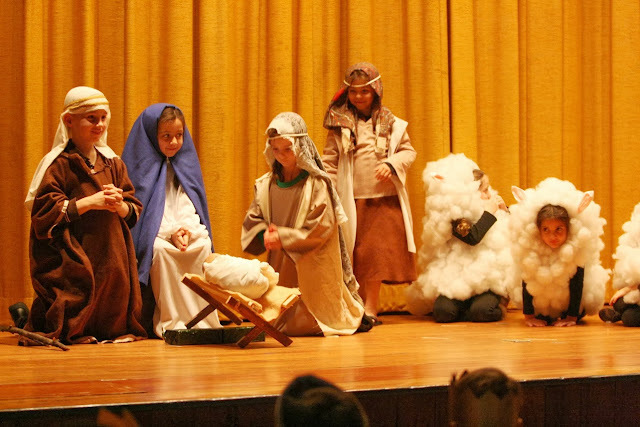 The video features scenes adapted from the 2007 film "The Nativity Story" by New Lines Productions Inc. 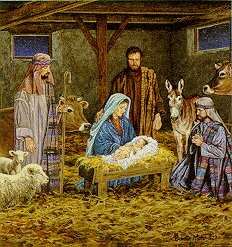 This song was originally written in French and is often sung at Christian services on Christmas eve. More than 100 artists have recorded this song, This version by Canadian singer Josh Groban is very powerful. Christmas when Jesus was born. "What Child Is This?" is a popular Christmas carol written in 1865. At the age of 29, English writer William Chatterton Dix became very sick and almost died. He had to remain in bed for several months. He became very depressed during his illness, but after alomost dying he wrote the song What Child Is This set to the traditional English tune of Gleensleeves. Sarah McLaugllin version is a little different, set to different music using the same words and could almost be a lullaby sung to a baby. . The next two songs focus on the joy Christmas is supposed to bring and reminds us that we need to remember to keep some of that joy in our heart even when things in our life are bad. Try to sing along with this next song as loudly as you can. Make sure you really open your mouth wide. It will help with your pronunciation, your phrasing and your speaking fluency. 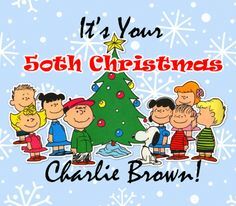 50 years after it was created, the animated cartoon "A Charlie Brown Christmas continues to be one of the most beloved Christmas holiday TV specials. " Why is it so special? According to Robert Loyd, film critic for the Los Angeles Times, " it isn't about any invented crisis in the life of an imaginary creature. There are no elves, no reindeer, no Santa. It's just about us. Charles Schulz, the creator of "Peanuts" wrote a little fable about how a meaningful holiday such as Christmas has become so commercialized that it has lost any meaning. The only magic Christmas now allows is the kind we create ourselves when we pay attention to someone besides ourselves. 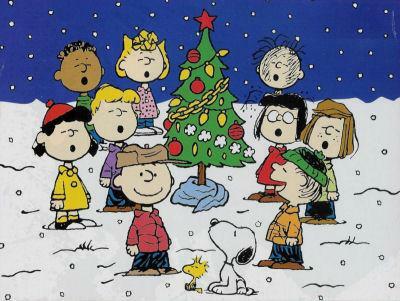 "A Charlie Brown Christmas" remains true to both the spirit of Christmas and to the spirit of "Peanuts." 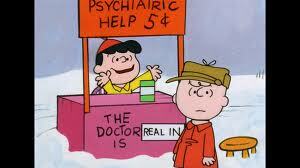 "I know nobody likes me," sighs Charlie Brown in the animated special. "Why do we have to have a holiday season to emphasize it?" The sad little Christmas tree Charlie buys for the school play represents all the world's underfed, unseen, unloved, ( trees, animals, people...) .However, it can still be rescued. In fact, with a little love, care and attention, it can truly become something special and even magic. Watch the special and learn about one of the most popular idioms about Christmas that comes from the story: "A Charlie Brown Christmas Tree. " How Well did you Understand? Watch the film as many times as you need to. Then see how many questions you can answer in the quiz below. Now, can you answer the question: What is a Charlie Brown Christmas tree? The Making of a Charlie Brown Christmas a 15 minute documentary on the story behind the making of A Charlie Brown Christmas featuring interviews with the people involved in the special. National Public Radio ( NPR) explores what makes this ageless special endure in interviews with experts. Find out more about the history and little known facts about Charlie Brown's Christmas. Read opinions for its success as well as about recent controversies surrounding its "religious" tone. 1 What did you enjoy most about the special? type of feeling at Christmas? Christmas ? Why do you think this happens? 5. What should depressed people do about this " depression" or sadness? 6. According to Charlie Browns' friend Linus, what is Christmas all about? better to make your own way? One of the most loved North American Christmas stories of all time is the story How the Grinch Stole Christmas. Although Dr. Seuss, a well-known children's writer, originally wrote the story for children, it has messages for young and old. The story and the animated video ,now shown on television every year at Christmas time, continues to delight millions of of people whether they are watching it for the first time, or the 30th time. Now that we have officially entered the Christmas season, this is a wonderful opportunity for you to watch an important piece of North American culture. It doesn't matter if you live in Australia, Europe, Asia or the Middle East, you will still enjoy learning a little about a series of Christmas messages that apply to every culture or religion. If you plan to live in North America, or if you already live here, it is even more important that you know about this story by Dr. Seuss. If you can mention any aspect of the How the Grinch Stole Christmas, or of Who ville in casual conversation, people will think you are a true American or Canada, and really "get us." This is also a way you can get your children involved. Watch the video as many times as you need to know and answer the comprehension questions below. 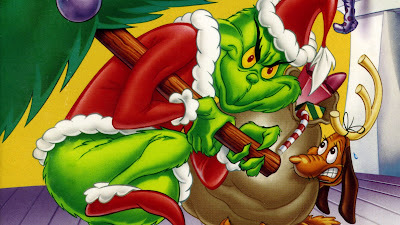 words that describe Mr. Grinch, for exdample: "mean" . 2. Listen as many times as you need and fill in the gaps. 1. Why do you think the Grinch hated Christmas so much? 2. What role does Cindy Lou play in the story. What does she do to change the Grinch? their things had been stolen? why that person acts that way? 5. What did the people of Whoville learn from the Grinch's behaviour in the story? 7. What is the message of the story? Is there more than one message? Explain. get the Grinch in the holiday spirit? 9. If you could give the Grinch one gift, what would it be? 10. List some differences between the Grinch and Cindy's Lou's personalities. Give examples. 11. The Grinch has a serious character flaw. He experiences a crisis and then changes for the better. Describe the Grinch's character flaw at the beginning of the story. What crisis changes him? How does he change? 12. Dr. Seuss wrote How the Grinch Stole Christmas to point out how the media and marketing have created a holiday focused on spending money to buy things. Chinese New Year, Valentine's Day, Mother;s Day etc. and how they are celebrated. 13. Would you write a different ending to the story? Explain why or why not. If yes, how would you end it? 14. Do you know anyone who had some bad personality characteristics, but who became a better person after something happened to him or her. This could be you, or anyone you know. Tell what happened, and why this person changed. 15. Write a letter to persuade the Grinch why he should change his mind. How the Grinch Stole Christmas Writing and Discussion Questions Word Doc. This is an easier version of the story written like a small play. It is perfect for students to use as a play in the classroom. The roles are broken down so that everyone can have one , two or even three parts. Start with having them read their lines normally, but fluently, without hesitating or stumbling. Go over the pronunciation of different words. Now, have the students put the maximum amount of expression in their voice. Practice as often as they need. Have them memorize their lines and be able to repeat them in the correct order. Love is one of the main messages of Christmas. 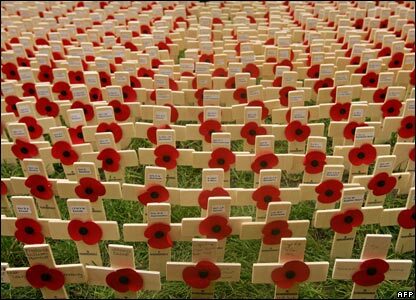 People all over the world enjoy sharing their love with each other at this special time. But Christmas can also be a time of loss and heartbreak - a time when people remember a love lost and the wonderfu times they had. Although these are not traditional Christmas carols, the following songs have no become classics because they show both the joy, the sadness and the yearning that Christmas and the holiday season brings to people in love. Here are a few songs to keep you in the mood, whether you are happy or sad. Listen, play the game. Then sing along. There's lots of Christmas vocabulary here. Try some. 3. We roast these type of nuts on the fire. Have you ever experienced a sad Christmas when everything reminded you of a former love? I'm sure you are not alone. As everyone knows even people whose heart is broken still get through it. The next song is about that. Although this Christmas pop song was only released in 2010, it has become so popular that Coca Cola has started using it for its Christmas advertising campaign. It is easy to see why as the upbeat song encourages people to spread love and happiness at this time of year. 2. Cheer is another word for joy. 3. What is this below? Many of us are afraid to tell the people we love how we feel, so we hide our feelings. Sometimes it's worth being brave and taking a chance to open up about those feelings. Who knows what could happen. Listen to the following song to see what Kelly Clarkson has to sat about it.